The underlying motto of the Group is “We give back more to society than what we take from it”. Going much beyond the statutory requirements of law for environment protection, the company has implemented a comprehensive environmental protection plan in the plant, resulting in near zero pollution of air and water through treatment of chemical pollutants, recycling and effluent control. A team was set up before commissioning of plant to look into environmental issues. Based on the Environmental Impact Assessment made by the team, utmost care was taken to incorporate the findings and create a man made forest. The green belt was the outcome of the combined wisdom and experience of the country’s best experts in such diverse disciplines as forestry, horticulture, soil chemistry, ornithology and landscaping. Creating ecology in a barren saline infested marshy land, over two-thirds of the plant complex (nearly 700 acres) was earmarked and has been completely developed into a green belt which extends over a kilometre with more than 0.35 million trees of 170 species, eleven water bodies with marine life, animals and birds. 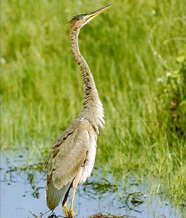 It is a favourite of nearly 70 species of migratory birds. In addition to the monitoring stations at Kakinada Plant, an ambient air monitoring mobile van is also available to monitor the quality of air outside the factory premises. The plant has the state of the art facilities for continuous monitoring of Ambient Air, Soil & Ground water quality and analyses of gaseous emissions and liquid effluents. The data is continuously analysed and recorded in the computer situated in the central laboratory. NFCL has won the ‘Environmental Protection’ Award from Fertilizer Association of India for the 2nd consecutive year and 4th time in the span of last 8 years and this reckoning has been done out of 31 Nitrogenous Fertilizers Plants in the country. For the third time, Nagarjuna Fertilizers and Chemicals Limited has won the prestigious FAI Environmental Protection Award in the nitrogenous fertilizer plants category for the year 2006-07. NFCL has been honoured for outstanding contribution for the sustainability of ecological balance at Kakinada Plant. This Award reflects the collective effort, dedication and commitment of NFCL associates and responsibility of NFCL towards the society. NFCL has been awarded with prestigious ˜National Award for Excellence in Water Management by CII-Sohrabji Godrej Green Business Centre, Hyderabad. NFCL participated in the Corporate Social Responsibility Award - 2004-05 competitions, which were organized by The Energy and Resources Institute (TERI), New Delhi. A total of 180 Companies participated. NFCL was short listed in the Best Ten Companies and given a 'Certificate of Appreciation', for its efforts towards good Corporate Citizenship and sustainable initiatives amongst Corporates with turnover above 500 crore rupees. ‘Award for Excellence in Natural Gas Conservation’ in the ‘Fertilizers Sector’ category from Gas Authority of India Limited (GAIL). FAI (Fertiliser Association of India) Environment Protection Award in the Nitrogenous fertilizer plants category for the year 2004-05.